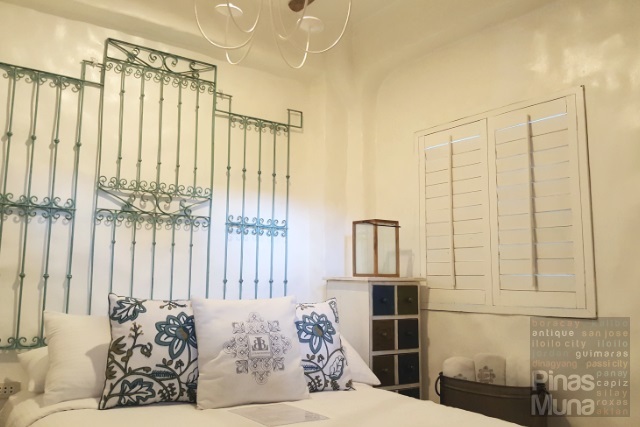 Lugar Bonito Hotel is a six-room boutique hotel located just few steps away from Boracay's White Beach. 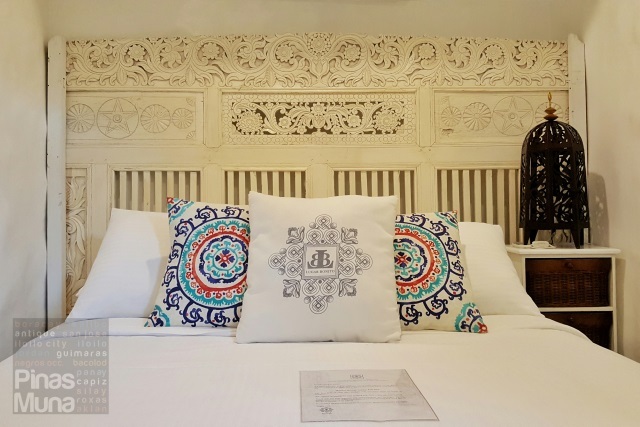 The hotel took inspiration from the white villas of Greece, with each room uniquely designed to have its own character and charm. 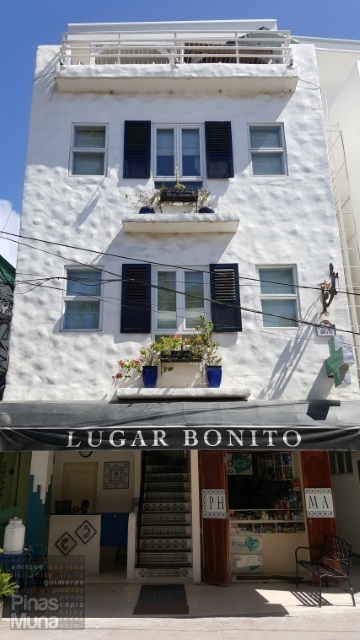 Lugar Bonito Hotel has three room categories: Standard Room which can accommodate two persons, Superior Room which is good for three persons, and the Family Room ideal for small groups of four persons. Lugar Bonito Hotel is easily accessible along the Main Road. From the jetty port, just tell the tricycle driver to drop you off at Lugar Bonito which is right across Obama Grill Bar and in between Andok's and Mini Stop Station 1. You won't miss this quaint four-story building with an immaculate white facade. 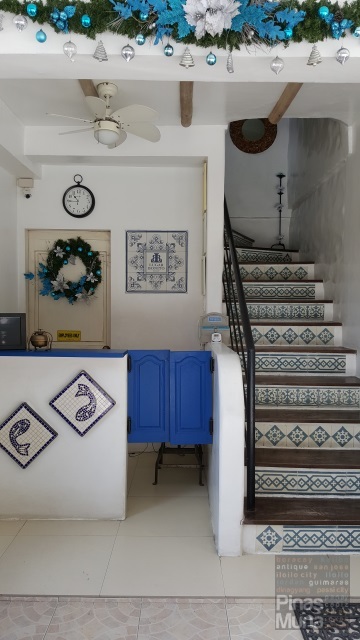 The hotel's reception is situated on the ground floor next to the stairs beautifully adorned with blue tiles. Because of its small size, check-in was quick and uncomplicated. We were billeted in a Family Room during our stay. Our room is called Bion, an ancient Greek word which means "life". 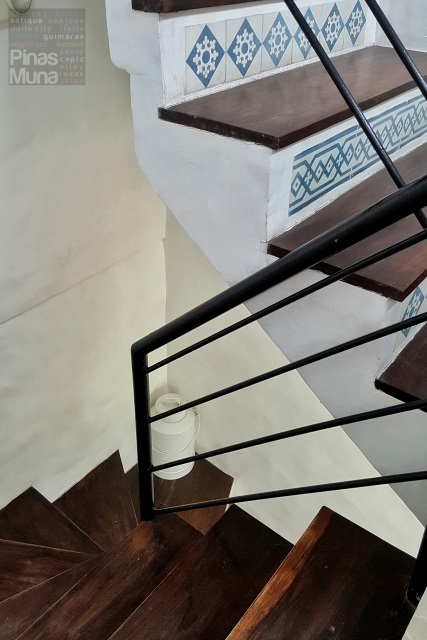 It is located on the second floor facing the Main Road. Measuring at only 16 sqm, our room's floor area was maximized to fit two queen-sized bed with adequate space to move around without feeling cramped or crowded. The white walls and bright light coming from the windows made the room feel more spacious. 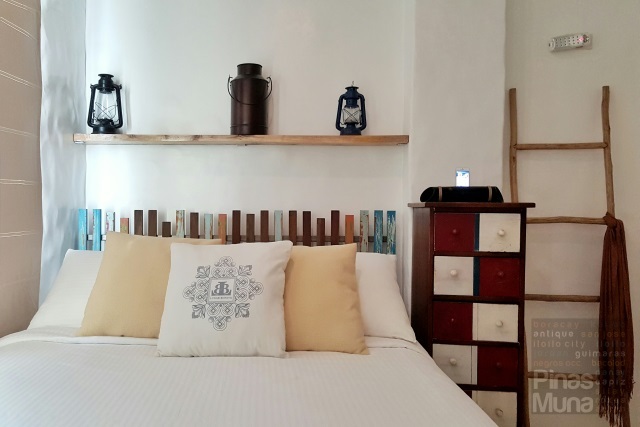 The beds are furnished with hotel-grade mattresses that are antibacterial and hypoallergenic. 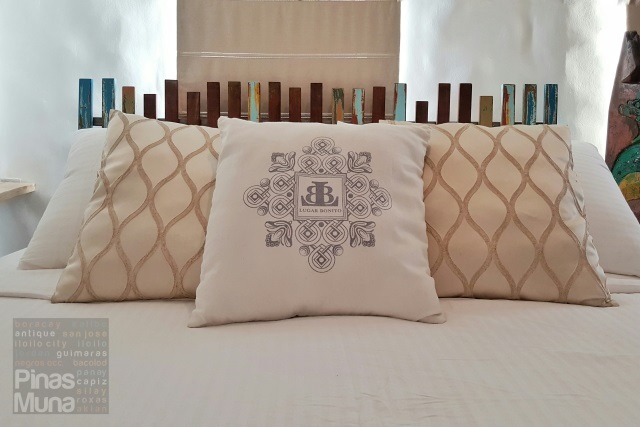 The fluffy mattress toppers and the duvet covered in high thread-count linens add to the more relaxing sleep. 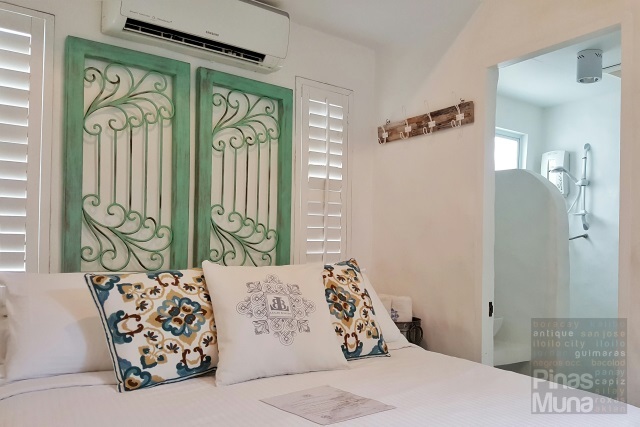 The air-conditioning unit work perfectly in regulating the room temperature to a comfortable level even during noontime. 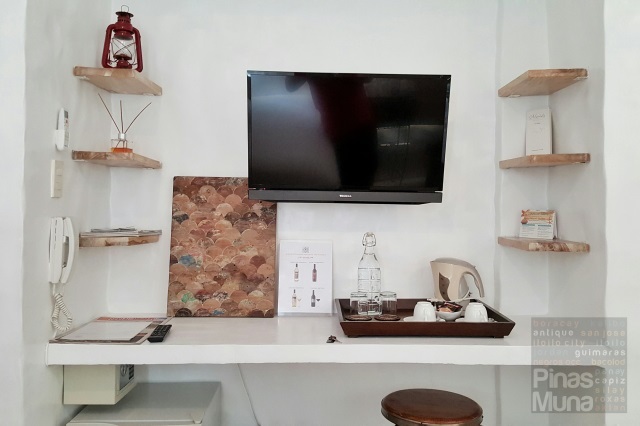 Our room is also equipped with a 32-inch LCD TV with local and international cable channels. Free WiFi Internet access is also available inside the room. Other room amenities include coffee & tea tray with an electric kettle, a safe and a mini refrigerator. 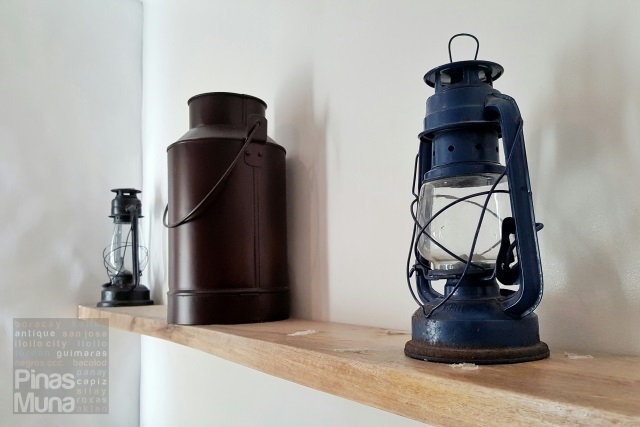 We particularly loved the ornaments inside the room which added color, warmth and character to the space. 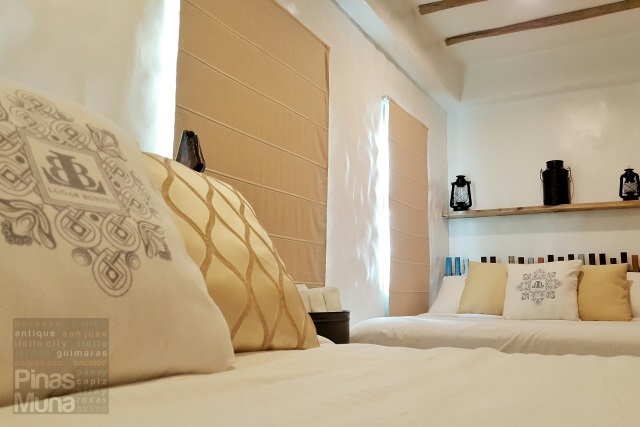 There's also a reed diffuser inside the room which added a light fragrance that is relaxing to the senses. 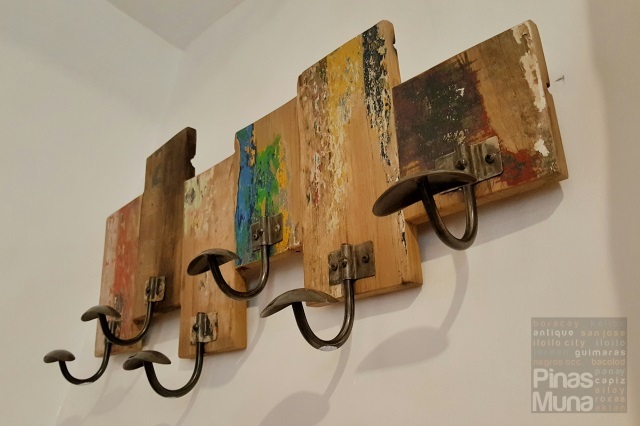 We totally adore the furniture which the owners personally purchased from their travels abroad and are now housed inside Lugar Bonito Hotel. 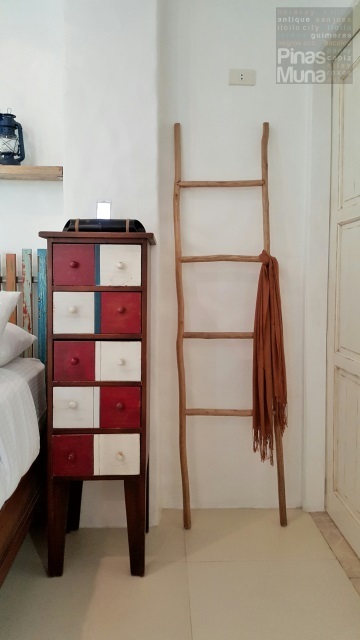 They do no only serve aesthetic purpose, they are also functional pieces of furniture such as the bedside chair that can also function as a luggage rack and the ladder that functions as a hanger for clothes. 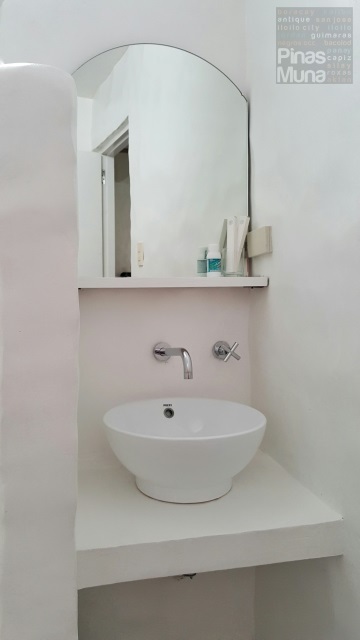 We also admire the bathroom for its cleanliness. 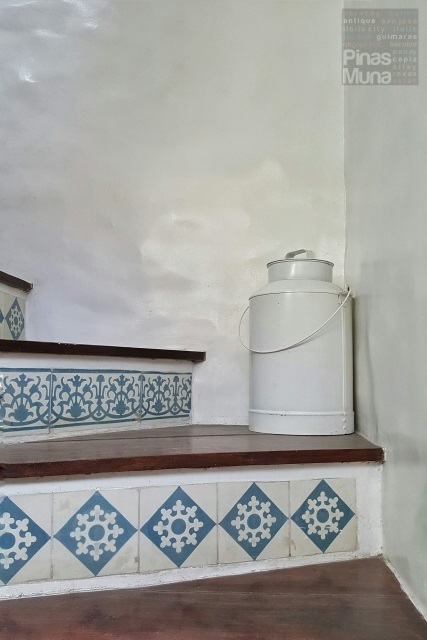 The white walls and the floor tiles are spotless. There's hot and cold shower and the water pressure was excellent during our stay. The shampoo and the conditioner provided have a light bergamot scent that match the scent of the room. 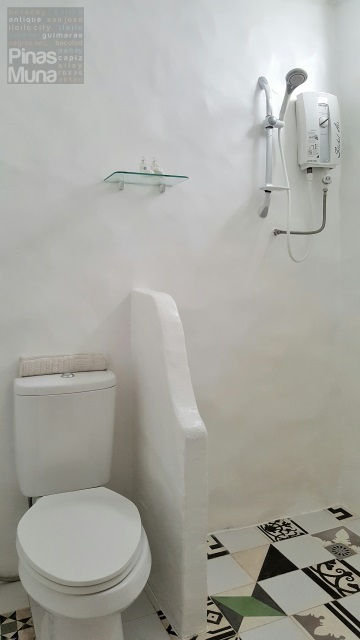 The toilet had a bidet installed as well. 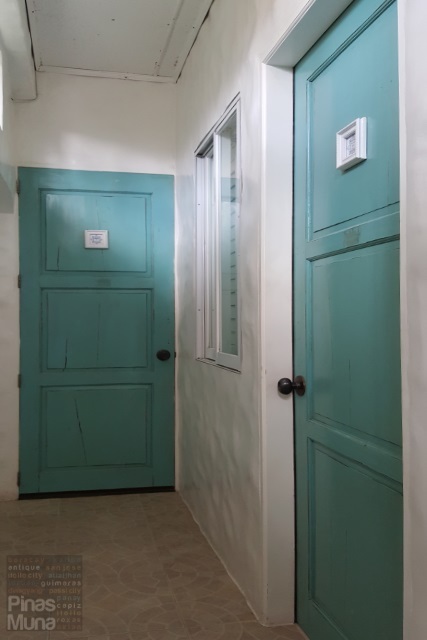 Below are the two other room categories of Lugar Bonito Hotel. The first two at the top are the Standard Rooms which are measuring 9 sqm. 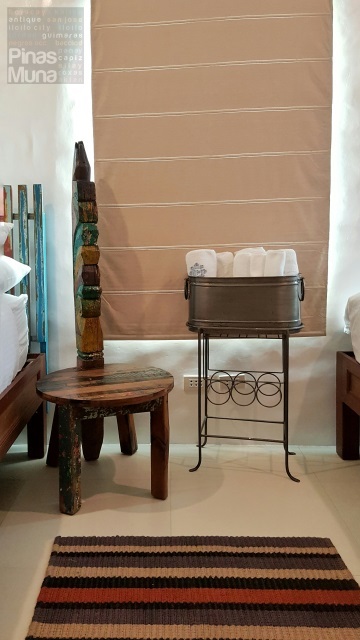 Myron (top-left) and Thales (top-right) are romantically designed to suit couples who are visiting Boracay for their honeymoon. 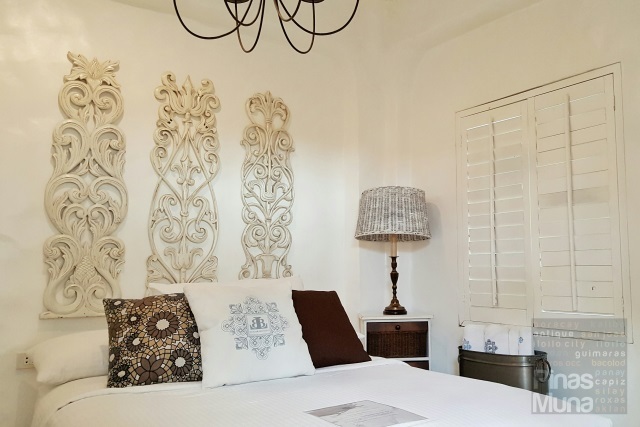 These rooms are also air-conditioned and have their own private bathrooms. 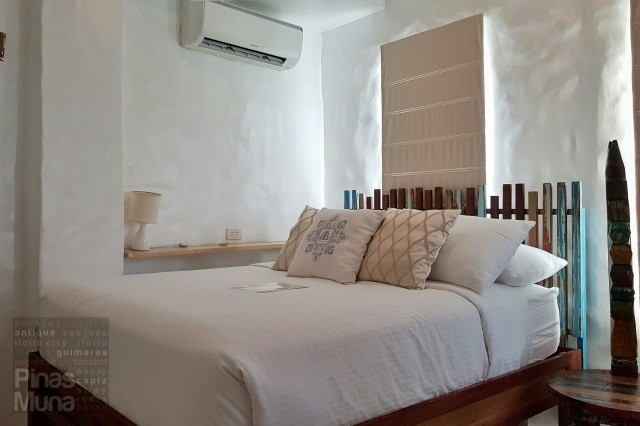 The Superior Rooms measure 11 sqm and is furnished with a queen-sized bed and a day bed, which make them perfect for a small family or a small group of three friends. The Kallias (lower-left) and the Hilarion (lower-right) are both air-conditioned and each has its own private bathroom. 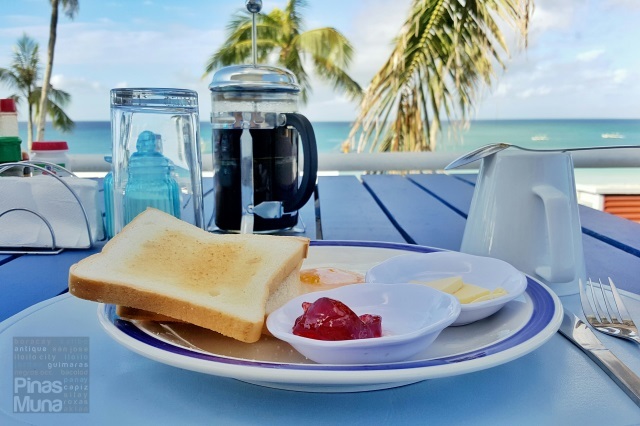 Our overnight stay at Lugar Bonito Hotel came with free Continental breakfast for two (2) which can be served in the room or on the roof deck where you can enjoy a spectacular view of the sea. 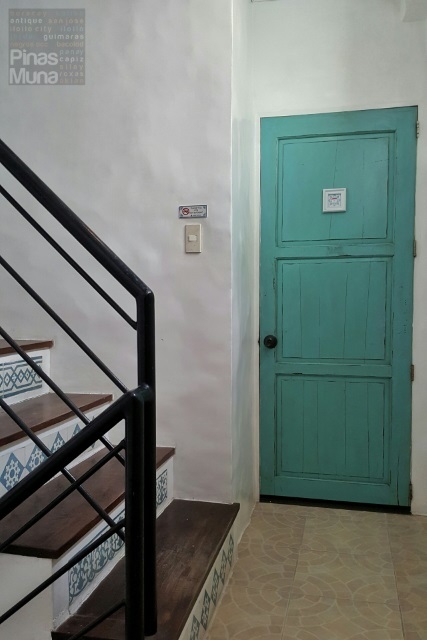 If you prefer a traditional Filipino breakfast, there's an Andok's restaurant next to Lugar Bonito which serves all-day breakfast meals at very affordable prices. Choices include Tapsilog, Longsilog, Bangsilog among others. What we enjoyed the most about Lugar Bonito Hotel was the convenience of its location. It is situated on the part of Station 1 where the Main Road is nearest to the White Beach. This means that both the beach and public transportation are accessible from the hotel. Imagine staying at a beach front hotel where you had to walk to D'Mall just to take a tricycle ride. 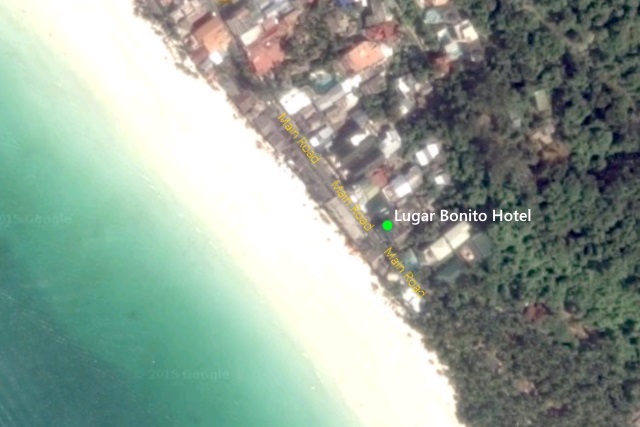 Here is Boracay's White Beach easily accessible from Lugar Bonito Hotel via the alley beside Obama Grill Bar. This portion of White Beach Station 1 is less crowded and not as noisy as the beach-front area near Station 2 and D'Mall. Adding a personal touch to the overall experience is the very hospitable owner and manager of the hotel. Ms. Chiqui and her staff will make sure that you enjoy every second of your stay at the hotel. If you have questions about directions or places to eat, they will be more than willing to assist you. 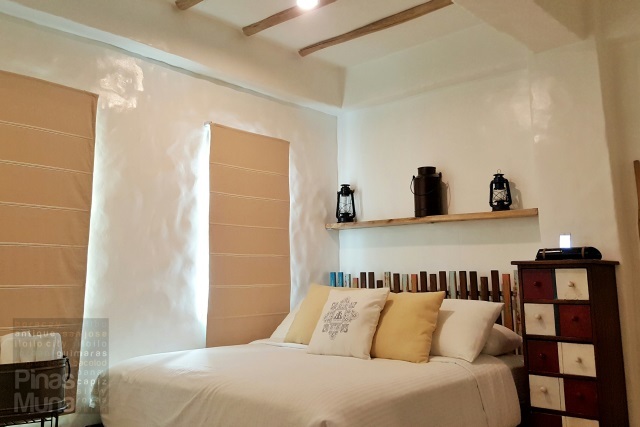 So on your next trip to Boracay, do consider staying at Lugar Bonito Hotel and we can assure you that it will be your second home in Boracay.